Christmas is a time for indulgence, kicking back and relaxing at the end of the year, spending time with loved and taking stock on the last twelve months. Thankfully, it doesn’t take much to significantly curb your waste and make a difference this Christmas. 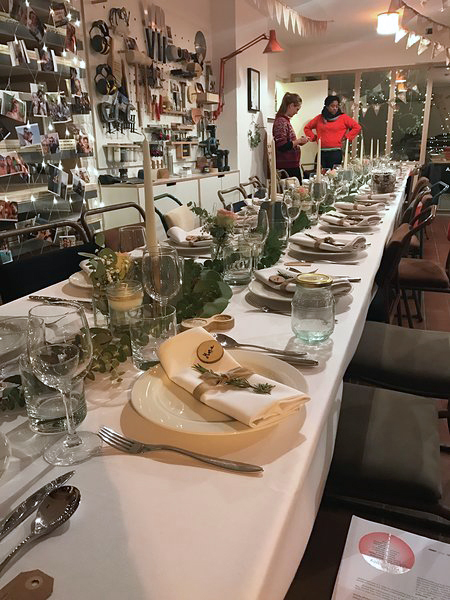 For most people, Christmas centres around the traditional Christmas dinner, where you eat to your hearts content (and then some!) and can relish in the leftovers for days to come. Buy only what you need. This doesn’t mean being frugal or not indulging, just be realistic about what you are actually going to manage to eat. Better to have to top up on boxing day than end up with more than you know what to do with, which will eventually end up in the bin. Where possible, try to buy from local shops where your money will make a real difference - whether ordering your meat from a local butcher or finding a locally grown veg scheme to deliver fresh produce. Leftover are king! Every single celebrity chef in the UK has a range of easy leftovers recipes, from new takes on the classic turkey sandwich to more involved curries or pies made using the leftover Christmas Dinner. Can’t handle more turkey? Why not freeze the leftover meat to re-discover it a week later. Re-useable take away containers are available in all supermarkets. Just make sure to date them and defrost them properly to avoid food hygiene issues. Eat and drink ethically by selecting what to buy based on the good the brands do. Our friends at Toast Ale are a great example of this, making delicious beers brewed from waste bread and giving their profits back to charity. The Ethical Consumer website is a phenomenal guide to buying well this Christmas, ranking most retailers and brands across a variety of different categories from food to finance. Whether it is what you buy, how much you buy or who you buy it from, small changes in shopping habits can make a big difference at Christmas. Buy from small, local or independent brands this Christmas. The money you give them goes to sustaining local industry, pay wages, keep high streets alive and directly back into the local economy. There are a myriad of great shops near Lozi that will have your Christmas needs covered, or why not pop into our Work/Shop to find your perfect gift? If you are really stuck on what present to get, why not get a gift card? Sure, in the moment it might not have the same romance, but you know the final gift will end up being loved and treasured because it was truly wanted. Or why not give an experience for you both to enjoy together? Buy ethically and well sourced products that endeavour to not do any harm to the planet and its inhabitants. Whether it is ethically sourced raw materials, zero waste products or a commitment to fair employment, make sure your money goes to companies whose ethics reflect your own. Lozi’s own £9.99 collection makes for perfect stocking fillers and is entirely made from waste plywood from our productions systems that would have otherwise ended up in landfill. Christmas is a time for community and good will, and what better way to get into the spirit than to give back? Give your time - Most charities are rushed off their feet over the festive period, but none more than those dealing with homelessness and destitution. If you have time to spare, Lozi local charity Refugee Community Kitchen are always looking for volunteers over Christmas, as are Shelter and Centerpoint in their bid to get people off the streets for the festive period. Give your stuff - Why not make the most of some time off to do a bit of a spring clean and donate some items of value to your local charity shop? Give your money - Pretty straightforward. Why not give a donation to a charity of your choice as a present this Christmas?